TOBAGONIANS and the rest of the world can now get a glimpse of historic items owned by two of the island's greatest calypsonians, Calypso Rose and Winston "Shadow" Bailey, at the Icons of Tobago Museum. 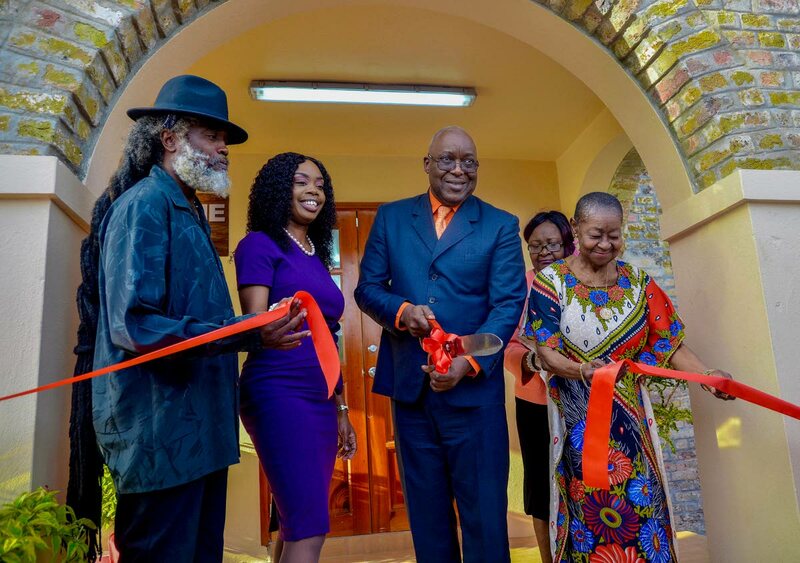 The museum was launched last Thursday at Fort King George Heritage Park and will highlight the works, life, music and achievements of the pair. Newsday understands Calypso Rose, born Linda McCartha Sandy-Lewis, gave the Tobago House of Assembly her entire archive, spanning the beginning of her career to the present, and all her awards. Additionally, the family of the late Shadow placed his archive and other memorabilia on display as well. Tourism and Culture Secretary Nadine Stewart-Phillips, second from right, unveils the Icons of Tobago Museum commemorative plaque alongside Sharlan Bailey, right, the son of Winston "Shadow" Bailey. Thrilled by the initiative, the Bethel-born Rose heaped praises on all who assisted in bringing the idea into reality. She said, “I would like to thank all my fans, my families, especially those from Bethel, Tobago. When I was small, I used to say Bethel 'ah hell' but no, Bethel isn’t hell, Bethel is heaven. “Now Tobago you are going to see the work that I have done and all the achievements that I have received universally, and you have to say, ‘She is walking in the footsteps of God.’"
Sharlan Bailey, son of Shadow, said he was thrilled to see this dream of an Icons of Tobago finally realised. 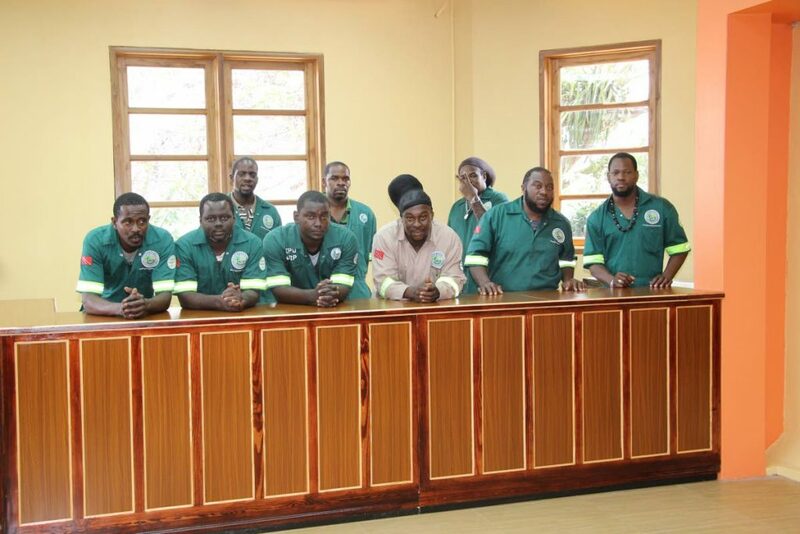 He said, “It is nice to see this come together; because one of the problems I’ve been watching with the country is archiving, putting things together, putting things in perspective for people who come behind. “When you talk about these people – my father, Tantie Rose – you don’t just talk about them as individuals, you talk about their music, what the music says to them and what the music does to them and do for them. This is something daddy used to always talk about, this is somewhere he always wanted to see his stuff." Artisans from the Furniture Workshop, Unemployment Relief Programme (URP) pose behind their handiwork at the Icons of Tobago Museum, Scarborough. Tobago House of Assembly (THA) Secretary of Tourism, Culture and Transportation Nadine Stewart-Phillips said Rose had been discussing donating several of her awards and personal items to Tobago for a very long time. She said the division was grateful to be gifted with the mementos. 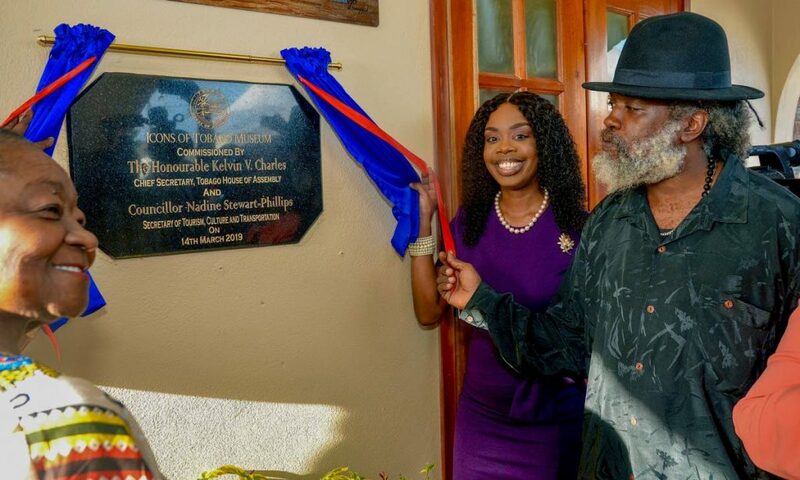 THA Chief Secretary Kelvin Charles described the commissioning and launch as a momentous occasion, noting, “It must never be said that a prophet has no honour in his own country. It is another example or proof that great things come out of Tobago and that great things would continue to come out of Tobago. The Icons of Tobago Museum at Fort King George. “This is not only relevant and necessary, but it is also timely. Right now in Tobago stands the exhibit of two of the most profound, as well as regionally and internationally acclaimed artistes on display… It is important especially for our youth and prospective artistes to be aware that we are not only recognised for our successes, but more importantly, we must appreciate and respect the journey of you two – par excellence. We see the fame but we don’t know the pain, and while I want us to pay tribute to all you’ve both achieved, I also want us to bear in mind that this level of success was not an overnight fix; it didn’t just happen or come easy; it required perseverance, persistence, hard work and a determination to keep producing great music and bettering your best." 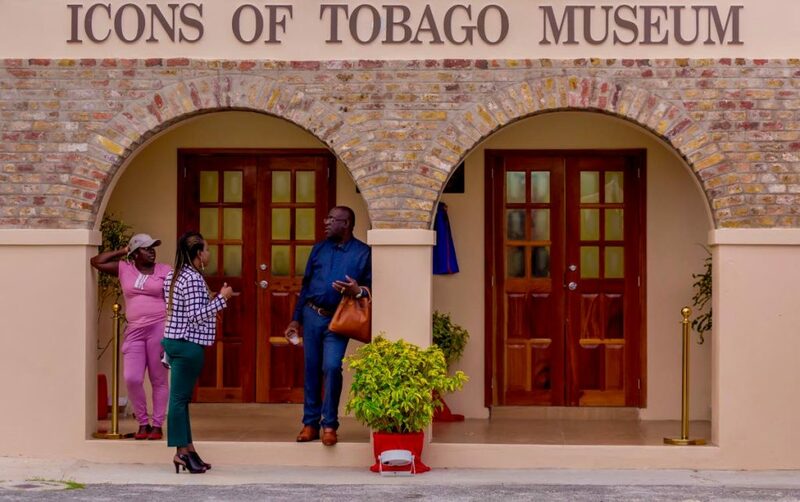 Reply to "Icons of Tobago Museum opens"